In the past few months, particularly since mid-July, the occupied Palestinian territories have been a site for huge events and a complex internal crisis. There is a complete lack of law and order forcing a reality of power by arms from within the Palestinian national authorities, security systems, and military groups related to the Fath Movement. There is a state of political anarchy and confusion. Incidents of kidnapping and assaults occur under the banner of “Reform and Resistance of Corruption.” Under these banners, the Palestinian authority proceeded to make replacements within security systems, reorganizing and combining them based on various grounds as well as declaring a state of emergency. Amidst the context of a possible civil war and murder that can erupt at any moment, Israel has come out as the main beneficiary behind these violent incidents that can put an end to the Palestinian cause. The Cairo Institute for Human Rights Studies (CIHRS) organized a seminar last August titled, “Reform or Catastrophe . . . Is There a Way to Rescue the Palestinian Conflict from Losing?” Bahey El Din Hassan, Director of CIHRS, oversaw the seminar and participated in introducing the main attendants. They are Dr. Samir Ghattas, Director of the Maqdas Institute for Political Studies, Ragy Al-Sorany, Director of the Palestinian Institute for Human Rights in Gaza, and Dr. Mohammad El-Sayed Said, Vice-President of the Organization for Political and Strategic Studies in El-Ahram. Samir Ghattas confirmed that the Palestinian crisis is deeper than what has been seen lately in terms of confrontations that are not fully representative of the gravity of the conflict. What has been witnessed is nothing but a short rehearsal of upcoming turmoil and anticipated explosions of violence. Ghattas clarified that one of the most violent confrontations within this crisis is related to the Palestinian President, Arafat, or to turning of events in the direction of this confrontation. He also pointed out that his crisis consists of unclear motives. What is thought to be a battle between the reform movement and the wing of corruption within the Palestinian authority is that some of the reformers are corrupt in the eyes of the Palestinian society. Ghattas warned of viewing the crisis as a problem of security alone because this is a peripheral side of the issue. It is necessary to investigate beyond the security problems to find the real causes of the crisis, which extend to numerous angles of Palestinian society. This confusion is evident in the Palestinian masses and prevents its political development. Hammas, formerly against Arafat, united with him and presented the last crisis as a problem of internal disturbances caused by individuals acting in the interest of Sharon and for breaking the will of the Palestinian people. Hammas united with Arafat only because they are against the opposing force that is trying to weaken Hammas’ control over Gaza. Ghattas also confirmed that corruption is evident in the Palestinian authority and cannot be denied. For example, the censorship committee issued an official statement in 1998 which described the corruption in major sectors of the authority. However, the statement was ignored. There is another report written by an investigative committee formed by the European Union to monitor the Palestinian authority. It is headed by Michelle Roccar. This report confirmed, with accuracy and in great detail, that if these current circumstances persist, the Palestinian authority will crumble within a year. Ghattas bitterly expressed that these sources of corruption have become a societal state of being. This corruption is not something new. It was initiated by the movement of Palestinian resistance, especially in Lebanon and during the civil war, which impacted the Palestinian Revolution. Thus, various forms of corruption emerged and were transferred along within the Palestinian authority. Ghattas added that the salaries of the members and officials of the Palestinian Government were given by the World Bank. However, when Arafat entered the occupied territories, he took over the payment of these salaries, determining the amounts and the forms in which they are paid in. He confirmed that Shimon Perez, Israeli President, contributed to this corruption by allowing Arafat to deal with the salaries. However, Shimon Perez is said to have acted in this manner in order to empower Arafat against extremists. Ghattas further confirmed the presence of large areas of cooperation under the scope of the Oslo Accords between former Israeli security officials and highly-ranked Palestinian cadres and officials. Ghattas noted that the structures of the state are still not developed and that a large amount of aid given to the Palestinian Government including monetary aid was looted and robbed away from the people. Ghattas enumerated six reasons behind the big Israeli Palestinian crisis. First, even ten years after the formation of Palestine, there is still no hope for political resolution. In the meantime, the Palestinian society, with all its constituents, does not see any clear solution out of this crisis. Second, corruption has spread widely without any attempts at controlling it. Third, the existence of a current struggle over authority that was supposed to have ended after the ten year period after the Oslo Accords in May 14th, 1999. In addition, many developments occurred surpassing the means and capabilities of this authority. Fourth, the abundance of violence, given the formation of numerous security institutions who took control of political life, is dangerous. The violence increased also as a result of the spread of armed groups in the streets. Five, internal disputes occurred within Palestine over the control of Gaza in anticipation of Sharon’s plan to withdraw from the territory. Numerous forces are trying to establish their power in order to be ready to control Gaza. One of these forces fighting for control was Yasser Arafat, who appointed his cousin, Moussa Arafat as director of Security in Gaza to increase his hold on the region after Israel hands it over. In the meantime, the new generation of Palestinians was hoping to be relieved of some of Arafat’s authority by implementing a different kind of authority in Gaza. Six, Ghattas pointed to the infiltration on the levels of politics and security. According to Ghatas, the political infiltration is not only Israeli, American, or European, but also regional due to the weak nature of the authority. The infiltration in the security institution is proven by the assassination of 168 martyrs in the same way that Dr. Abd El-Aziz Al-Antes was killed. Ragy Al-Sourany initiated his comments by expressing his reservations towards the conclusions of Dr. Ghattas, which stated that the corruption is evident on all levels of Palestinian society. Ragy Al-Sourany thinks that there is no corrupt nation, but only disloyal individuals. Even though the corrupt individuals are known, there is no mechanism by which to judge the. Al-Sourany went on to mention, as confirmed by International Organizations, that the economic losses of closing off the occupied territories exceeded the aid received. In addition, 9 billion dollars were looted from the Palestinian authority. The above is in addition to the fact that the Palestinian authority engages in similar looting of the wealth of the Palestinian masses. He went on to confirm that it is not possible to describe the Palestinian political movement in terms of changing from political to military and then to terrorism. However, this does not mean that there are no mistakes. Open criticism enumerated such faults. He confirmed that there is political harmony combining the Palestinian political movement together. Al-Sourany also stated that we cannot imagine that one man is capable of corrupting a whole nation as said about Yasser Arafat. The Palestinian masses are persisting on the political legitimacy of their Government. They are not influenced by pressures of government officials enforcing their authority on them. He also pointed to the 143 thousand Palestinian security officials suffering after their work stations were hit and destroyed causing them to be homeless and in storage rooms, where they cannot practice their jobs anymore. Another problem is that none of the Palestinian Ministries are functioning except those of health and education. Eighty-one percent of Palestinians living in occupied territories are living under the poverty line and 68 percent are unemployed. Until now, the Palestinian political authority has not effectively examined the case of reform. Politically, there is a complete lack of will for reform. This question is not based on a few decisions or procedures. Dr. Mohammad Al-Sayed Said confirmed that the state of corruption and dictatorship is common to the region. In the past 50 years, the political and societal formations are deeply infused with corruption and dictatorship. This has lead to the increasing weakness of these structures making them unable to resist external pressures and circumstances or able to defend their national independence. Dr. Said noted that this corruption and dictatorship are a special case. They were initiated out of a state of Revolution, a strange and illogical emergence. This is a unique historical era characterized by a nationalistic sentiment across the masses. It also has historical significance and philosophical depth. All this is within a context of corruption from the start. 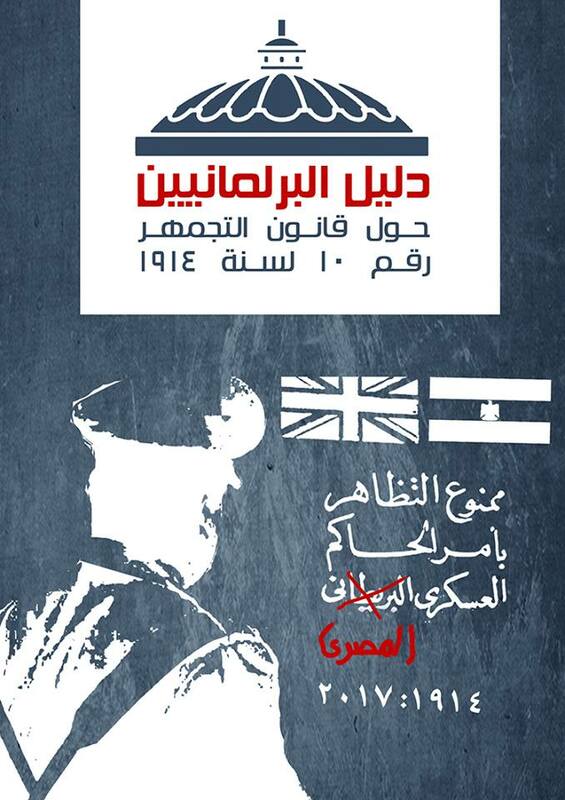 We are up against a state of revolution which acted in terms of American Imperialism and Zionism. The veins of corruption are evident from the beginning since the Battle of Karama ended and the settlement of the PLO (Palestinian Liberation Organization) in Jordan then Lebanon. Corruption was always an issue commented on by international media and the Zionist opponents. These Zionists sarcastically wondered about these revolutionaries who spent part of their lives drinking at bars and cabarets and another part in the fields of battle. In the 70’s, they came to be known as the Revolutionaries of the Red Street. Many journalists were bribed with great sums of money in exchange for giving Palestine their loyalty. From this, we can be sure that the founder of this phenomenon of buying loyalties is the PLO and Yasser Arafat himself, not Saddam Hussein. He proceeded explaining that Palestinian corruption is part of a deeply-rooted Arab phenomenon related to the boom of Arab oil. Quickly, many Arab systems of government adopted this revolutionary state and provided monetary funding for it under the scope of buying political loyalties. The amount of money spent on the Palestinian Revolution corrupted it and transformed it into the contrary. 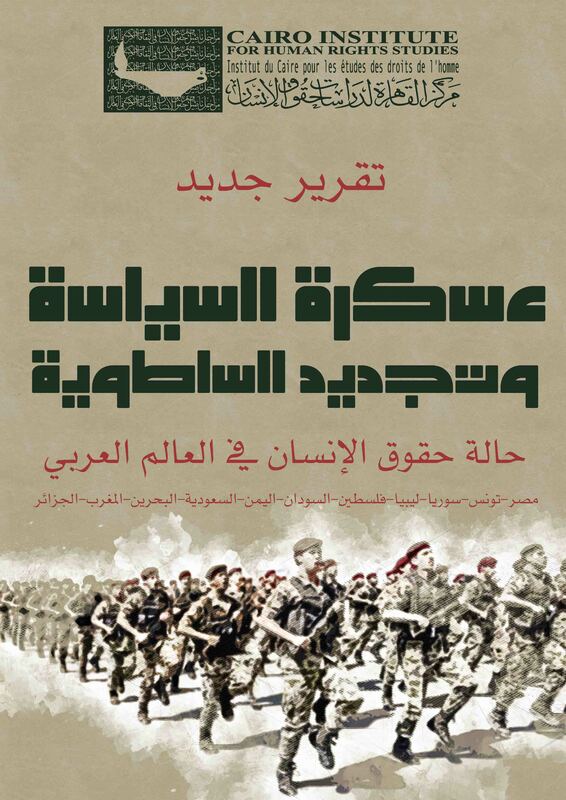 Since the start of the Battle of Karama and the negotiations in Cairo, the military approach used instigated the transformation of the Palestinian Revolution in to a phenomenon based on oil and dollars. This led to the emergence of a number of groups given their relationship with money and Intelligence Agencies. These groups were also related to a phenomenon called “The Deviance towards Terrorism,” in the Palestinian Revolution. This switch in direction contributed to the hijacking of planes, in particular, and to the transformation of a large number of these young Revolutionary groups into professional terrorists with access to secrets and relations with Arab Intelligence Agencies. Thus, they were able to move with great ease and flexibility between different regions of the world. Consequently, the refugee camp- born individual was turned into a wealthy owner of money and secrets. Thus, these individuals attained the abundant experience and knowledge of what Said considers that of a terrorist and not that of a revolutionary with his people. This led to the spread of corruption. Dr. Said stated that the failure of the paradigm of the Palestinian Revolution and the undefined relationship between the people’s political struggle and the professional military struggle had a great impact on the collapse of the Revolution and its transformation from a political struggle to a military struggle, then from a military struggle into a terrorist struggle. The revolutionary movement became bankrupt and increasingly incapable of realizing its goals, especially within the exceptional context of extreme corruption as that of Yasser Arafat. Dr. Said ended by confirming the importance of re-engineering the Palestinian situation. 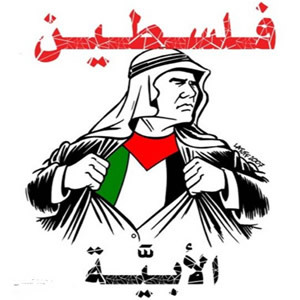 There is great need for the continuation of the Palestinian Revolution and for the endurance of the work to end Zionism, given the success accomplished by the Palestinian revolutionary theory based on the first Intifada and to amass parts of the picture to enable this theory to defeat Zionism. This new theory can finally lead the Palestinian people to the end of their fight for independence.